Providing Lawrenceville Heating and Air Conditioning Services since 1988! Wall Heating and Air is a family–owned and operated HVAC contractor in Lawrenceville, GA. We have proudly been serving the Lawrenceville area with home heating and air conditioning services since 1988. In addition to being a licensed and insured AC contractor, we’ve also earned an A+ Rating from the BBB (view our BBB listing). We are committed to solving your HVAC problems with quality service and helping you save time and money. In addition to our top quality air conditioning and heating products and services, we offer a Service Club Maintenance Membership as an affordable way to maintain your AC and heating systems, as well as improving your family’s comfort. Call us anytime and let us show you why we deliver comfort every time. For a trusted Lawrenceville HVAC contractor, call Wall Heating and Air today! 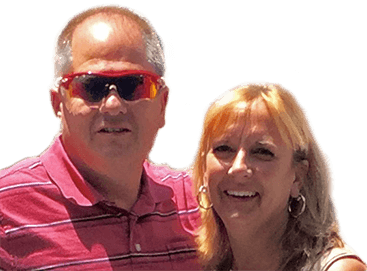 - Robert and Shirley of Monroe GA "Divided new heater and a/c. They installed both and knew what they were doing. Well planned with service." - Vancile P. of Lilburn, GA "We have used Wall Heating & AC since the 90s. They are very customer oriented and will do anything to help make the visit to our home go smoothly. They worked diligently until the job was completed. We are completely satisfied." Have You Heard about the Daikin Inverter Air Conditioner?